Get ready for the biggest festival of the year Mi Fan Festival! 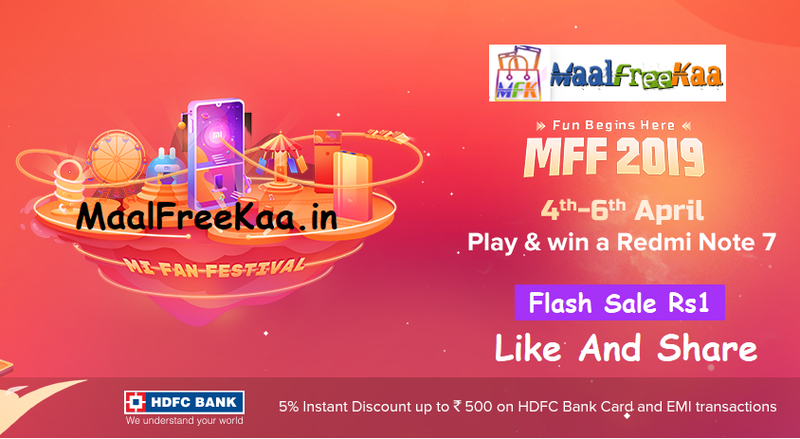 MFF 2019 is where all the fun begins, check out the below exclusive offers and fun activities specially designed for you our beloved Mi Fans chance to win Redmi Note 7 Pro Coupon And Mi-Fcode. Also You Can Participate Flash Sale Rs 1 To Get Redmi Note 7 Pro Only One Rupees. Get amazing offers on your favourite products. Check it out now with special partner offer to get instant discount. What else? you win more freebie. 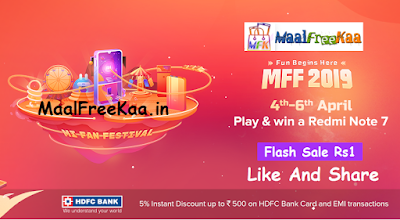 20000 lucky orders during MFF 2019 will be eligible to get the surprise free goodies from us.